Hi folks, another great season of Senators hockey is finally upon us and this should be an exciting season, for many reasons. 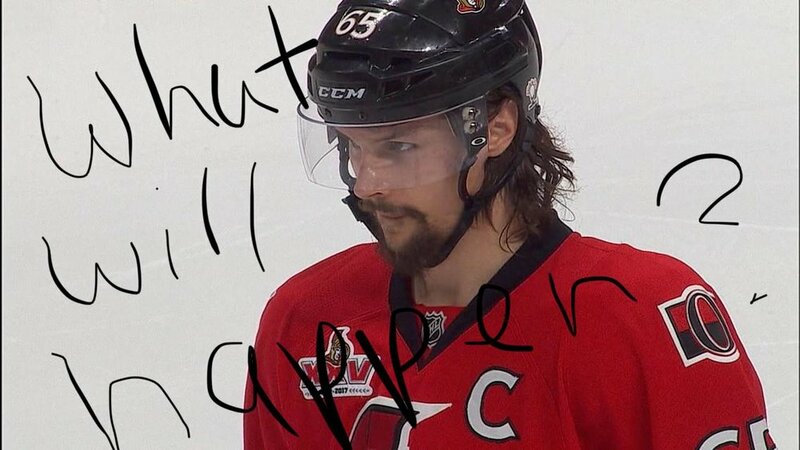 Why is Ottawa hockey so exciting? Because of the blood spill. When I watch Chris Neil ram another man’s face into the ice, I get up and scream. And then the OC Transpo driver yells, “HEYYYY SIT DOWN AND BE QUIET” and then I yell, “IT’S A FREE COUNTRY” and then he pulls over and says, “My bus...get out” and I say, “No” and it gets real quiet and a cop asks everyone off the bus but I refuse, and he asks me one more time, “Sir, please step off the bus”, and I’m all like “MAKE ME” and then he pepper sprays me and it’s beyond how they describe the pain in the news and it feels like your eyeballs are on fire and I scream “I NEED WATER I CAN’T BREATH” and the cop reads me my maranda rights and I say “I’M BLIND”. That’s why hockey is so exciting, because you can enjoy it anywhere. Prediction 4: The world markets crash and the economy is sent into a downward spiral in which the world has never seen, wiping out everyone’s retirement savings and making the dollar worthless. Many jobs are lost and anarchy reigns supreme as everyone goes into survival mode and start stealing to feed the families. Prediction 5: Guy Boucher grows a moustache and Marc Crawford makes fun of it, and Guy Boucher literally strangles Marc Crawford close to death in front of the entire team and many of them file criminal lawsuits and many sue for personal grievances due to the trauma of watching a grown man choke another man out when all they signed up for was to play hockey. Many players have a hard time sleeping because all they can hear in their heads is the piercing screams of Marc Crawford and the image of his LensCrafter Transitions shattering on the floor.